After Notre Dame: Are Belgium’s cathedrals safe from fire? Brexit: What next for UK nationals employed by the EU institutions in Brussels? 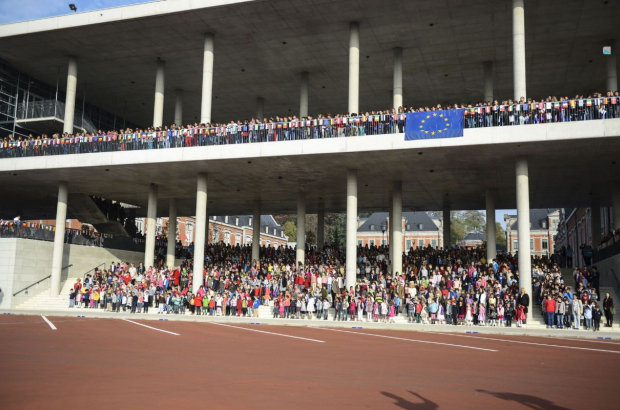 An investigation is under way after two fires broke out at the European School in Laeken this week - one of which led to a staff member being taken to hospital for smoke inhalation. A Brussels fire brigade spokesman said the fires could "reasonably be considered to be a voluntary act". School director Manuel Bordoy described the fires as an act of vandalism. About 250 students had to evacuate part of the school campus on Tuesday afternoon when a fire started in a rubbish bin in the toilets and spread to a nearby hand-dryer. It was quickly extinguished by a member of staff, who had to be treated in hospital. The following morning, a second bin fire occurred in another toilet. No one was injured. "Two fires in the same place in two days can reasonably be thought to be a voluntary act," said fire brigade spokesman Walter Derieuw. "It was a malicious act." The school has opened an internal investigation. Police are also investigating.